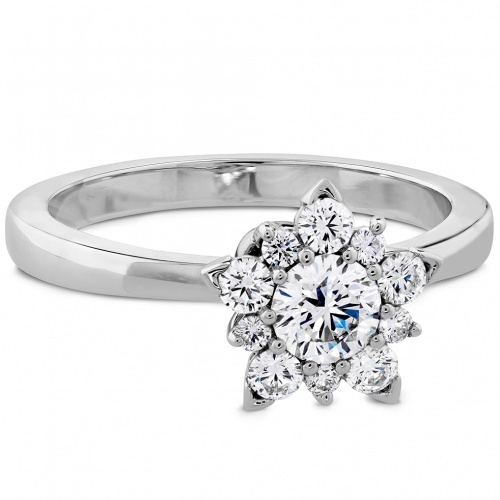 This beautiful engagement ring from The Aerial Collection is both timeless and fashionable. 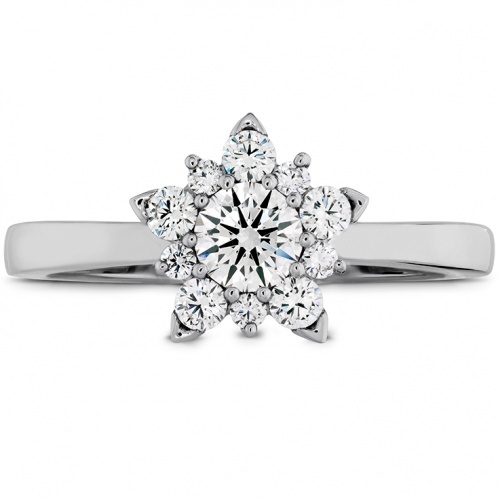 Inspired by nature, a cluster of brilliant, round cut diamonds form the shape of a snowflake. 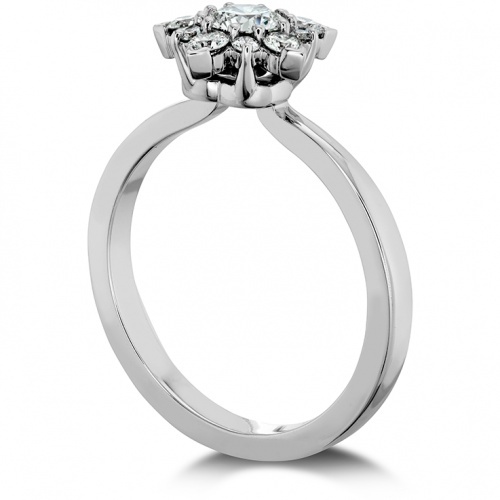 The unique look makes this engagement ring a standout style people will be sure to notice.